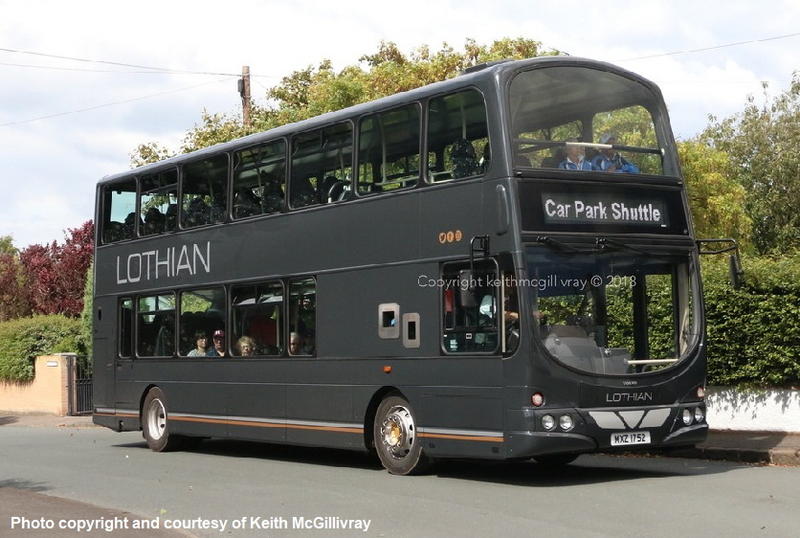 The aim of The Edinburgh Transport Group is to promote an interest in public transport, encompassing buses, coaches, railway traffic and other vehicles. We meet regularly to discuss our interests in an informal friendly situation. Our Winter meetings, from September to April, are held indoors, and consist of slide shows, talks and presentations. Summer meetings, from May to August when there are more daylight hours, are normally bus trips to various locations on interesting vintage or modern buses hired for the occasion. For more information, please browse the website and see the About Us and Membership links using the buttons above. These are held at The Royal British Legion (Scotland) premises at 33 Rodney Street, Edinburgh, EH7 4EL; meetings start at 7.30pm. Click here for details of where to find us. Thursday 7 March – This month our speaker is Garry Ward, with part 4 of his talk on Western SMT. Thursday 4 April – A slide show by Richard Walter, on “Changing Times In The Lothians”. We look forward to welcoming you to all of our meetings. Click here for details of where to find us. Click here for details of some of our past events. Click here for links to other websites that we hope will be of interest to you. We have to advise that non-members will be asked to pay £5.00 to join as Temporary Members for each event (and be asked to contribute to the cost of diesel when on a bus trip). A temporary membership card will be issued and, if they attend three more events at £5.00 each, they will become Full Members. If you wish more details on this, please speak to our Membership Secretary at an event. The aim of The Edinburgh Transport Group is to promote an interest in public transport, encompassing buses, coaches, railway traffic and other vehicles. Membership will entitle you to our full colour magazine, EXPRESS, which is issued occasionally. We hold our monthly meetings on the first Thursday of every month (with the exception of January). Winter meetings, from September to April, are held indoors, and consist of slide shows, talks, presentations or quizzes. Summer meetings, from May to August, are normally bus trips to various locations on interesting vintage or modern buses hired for the occasion. Membership costs £15 per year and is payable from 1 April each year. Family membership is available for £20 per year. You not not need to live in the Edinburgh area to join. We have many members from near and far. Those who are unable to attend the meetings will of course receive the "EXPRESS" magazine and have the same membership rights as everyone else. You can attend at any of the scheduled group meetings as detailed on this website, make yourself known and ask to see the Membership Secretary or Treasurer, either of whom will be happy to take your details and membership fee. There is no commitment to join, so if you would like to come along and see what our meetings are like, please do so, and if you decide to return and join us, we will enrol you as a member. Brian Melrose, 25 Broomburn Grove, Edinburgh, EH12 7NN, enclosing your cheque, and we will enrol you as a member. A copy of the Groups constitution is available upon request from us at this e-mail address.